Has anyone heard of this? 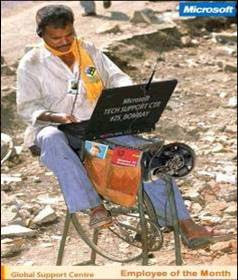 A couple of years ago One Laptop per Child was set up by faculty members at the MIT Media Lab to create the "$100 laptop." 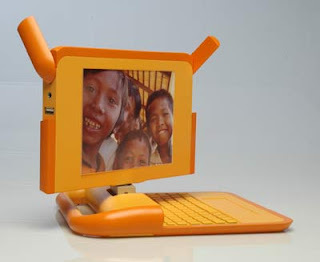 The purpose was to provide personal computer access to children all over the world, particularly to children in third world countries with poor infrastructure. The project's site is http://www.laptop.org/. The laptops are wireless, and were initially powered by a hand crank. This caused problems, so now they are powered by bike instead. What a perfect sustainable solution! Be your own power source and get fit at the same time! Reminds me of the new "Walkstation" by Steelcase (with the major exception that the bike/$100 computer generates energy instead of sucking it down)....still work + fit is something Americans could definitely use!